Living in Vermont, with a wife teaching at Middlebury, and three college kids, I am very aware of political correctness, privilege, and offense. The "victimhood jujitsu", where something you say or hear puts you or someone else off-balance. The passive aggression, finding subliminal intent where none was on the sayer's mind. Not that I hold the conservative view... just addressing the educational tactic of reverse-labelling. PC culture may be a good thing or a bad thing. But political correctness may have unintended consequences when it emboldens a type of anti-bully, a Madame LaFarge, to call out privileged people for oblique intent. Indeed, some of the political right of Brietbart give credit to liberal college shaming to emboldening them. Like in jujitsu, the left shifts its body weight to anticipate the right's weakness, and the right re-leverages its body weight to counter. Like sloshing in a bathtub, this kind of immature discussion makes a mess. Insecurity about our inherited history can cause us to project insecurity onto others. It bears a lesson most societies have taught us to resist. By immature, I mean the conversation is very much backsliding from the ancient Greek philosophy which made the West great, and so backwards from the ancient Tao, Gita, and Zen power that grew their great civilizations. Rhetoric should be less than dialectic, and silence should be more powerful than exaggeration. In very poor and emerging places, being offended is shown less quickly - because its a bigger deal. There is real danger in offending people. Children are taught not to offend people. Throwing offenses is seen as the privilege of the "big legume" (big man is "vegetable" in francophone afrique). Uneducated people throw insults at each other. Wise men defer. The mantra not to offend is easier to follow in a village or rural county than it is in a globalized world. Say "Merry Christmas" to be polite in Taney County. Say "A Salaam Alekum" when entering a home in Tamale. In each case, it's the opposite of jujitsu... you are demonstrating that you are not off-balancing or leveraging your host, you are going with the flow for the right reason. The universities of the world are an incredible melting pot. They grew as bastions of dialectic and constructive argument, developed systems of law, tinkered with engineering, and opened young peoples minds to outside advice and rare insights. I think they are great. But they are, indeed, a place of privilege. And one of those privileges is to state that you feel offense to something another person thinks or says. If you were in a coal pit, on a cotton harvest, on a fishing boat, or digging a trench in Burkina Faso, you'd tend to smile at an offense, to shrug off a co-workers unintended slant. You tend to go along and assume the best, because sloshing the bathtub makes a mess to mop up. It's a privilege to call out other peoples privilege. Not necessarily a bad privilege. But like pointing out a burp or a fart to a child, the point is to teach people, not to ostracize them publicly. 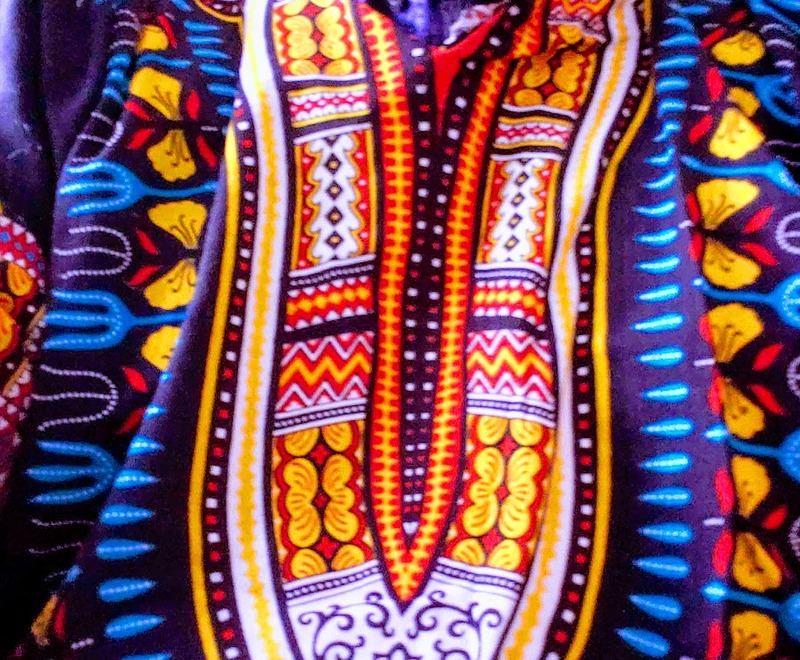 Leave open the possibility that a white man wearing a dashiki may have been given it as a gift by a very close friend, who may have bought it from a tailor who needs business. Leveraging the shame of Europeans ugliest past practices to humiliate a man who is already possibly uncomfortable in wearing his pal's gift is not empowering past silent voices. The lessons of the great civilizations of the past are visible in precarious societies, who welcome visitors and laugh gently at awkward gestures. 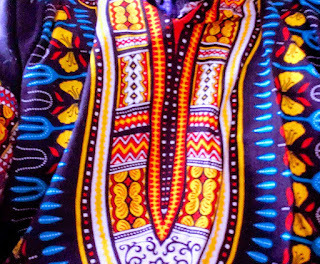 Africans were always, always, always happier when I entered their homes wearing an African shirt than when I wore a necktie. Especially the little children in those homes. They took it the way I meant it, and taught me to get over my trepidation. University is great. But some people need to get out of the dormitory for awhile. You will find over time that you did things you thought were brave or good fun, but now find cringeworthy. It's part of learning humility, which is at the heart of what is offsetting about "privilege". We want to understand and acknowledge our privilege, and in retrospect may appreciate having learned about our farts and burps when they were called out. But if someone extends a left-hand in friendship, I have found that most societies cut the guy some slack, look at his intent, and if he's off balance, they use their footing to catch and correct him. He learns the lesson better that way, even if it takes time. There is less of a mess to mop up than when he learns from us shouting gotcha. Societies evolve to teach their cultures that way, because most visitors are not Cortez the Killer. when my mind goes on after the blog should be over... sometimes I'll append a blog-end. In this case I thinking about how often I hate Cortez, and how often I turn to that hate in this blog. The Spanish burning of the Inca libraries... When I'm called out for "appropriation" (or my kids gently remind me why they cannot wear the gifts they were given from Africa, South America, or Asia), I kind of hear an assumption that I care less about Cortez injustice than someone else because of my birth geography or the color of my skin. Abolitionist John Brown would have failed those tests, but one could hardly accuse him of being a closeted or subconscious racist. When we fear to be labelled as historical apologists or privileged appropriators, we may gather into groups to demonstrate our allegiance with the oppressed, and there is no stronger way to "pace" in a group than to attack with the most vehemence. Using group leverage, by being the loudest denouncer of privilege, we can seek to inoculate ourselves from being perceived as failing to understand our own. When we fear to be labelled (by right as well as left), we fail to express our thoughts, and our society is weakened. What if Cortez ships had been scuttled at sea, or burned on arrival by the Aztecs? What would the ending have been? How long would Mexican civilization have stayed isolated? What would have happened eventually, 100 years later, as Europe advanced? Cultural appropriation and mixing and shenzhai is going to happen, I can't see how to stop Soukous from adapting rap lyrics (as K-Pop has done). Some fashions will melt away. But isolation isn't a permanent answer. The best scenario I can imagine is if bully-boys like Cortez were not promoted to captain. Good people should try to be captains. Shaming good people who mean well from learning other cultures because of their dna or geography is not going to make the world better. Teaching them not to be left-handed or cringeworthy is going to be necessary. That happens both directions. If you've read this far, you may want to ask me about cross-culture preparation of Africans to enter USA gay culture. If bullboy Africans had had the bigger boats, we might be learning about a different type of oppressive cultural extinction. Anyway, thought experiments and discussion are good, bottling them up has bad results.